Last week, our Middle School students visited Granada (southern Spain). They were able to practice their Spanish and discover the culture of Spain. 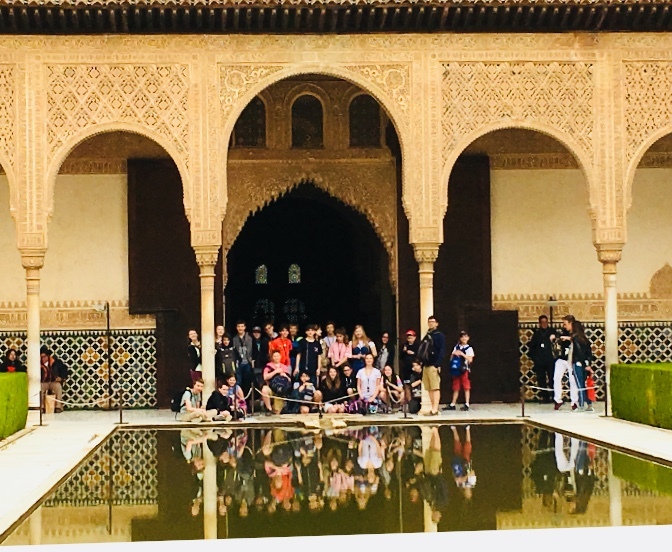 The students visited the beautiful Alhambra, an XI century Moorish palace, used the Spanish language in a cooking class (yummy! ), danced flamenco, and attended a Spanish school where they interacted with local students to discuss their interests in the Spanish language. One of the faculty members, luckily a MS science teacher, organized a visit to the Science Park of Granada, a 70,000 square meter museum full of gadgets and activities to learn and have fun with.